Aleya is a sound healer, energetic practitioner, Minister in the state of California, Doctor of Oriental Medicine in New Mexico, and a Licensed Acupuncturist in Colorado. She has been an alternative healer for over 25 years. Aleya graduated from Lewis and Clark University in Portland, Oregon and earned her Master's Degree in Oriental Medicine from The Southwest Acupuncture School in Santa Fe, New Mexico. She practiced in Telluride, Colorado for 7 years before moving to Santa Barbara, California for 9 years, and then moved full time to the foothills of the Sierra Nevada Mountains where she serves an international clientele as a spiritual guide and sound healer. In 2001 Aleya had an enlightenment experience which enabled her to perceive other realms, hear the angelic beings, and increased her empathic and clairvoyant abilities. Aleya has mastered the ability to help people release the root causes of their suffering. Her tools help people discover how to move forward with greater peace, empowerment, and freedom. The Higher Realms hold the blueprint for your life. When you shift your energy in the Higher Realms, your life in the physical realm changes. Your Higher Self (your Energy Self) knows how to do this work. CUPS OF CONSCIOUSNESS: The only subscription-based guided meditations that tune into the energy that comes onto the planet every day. 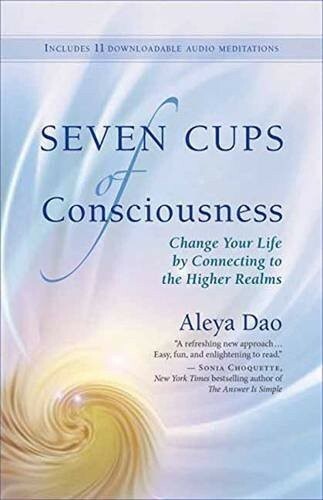 The Cups of Consciousness meditations are the most amazing way to start the day. They guide you, support you, and bring in a whole new level of clarity and direction. Sign up for a FREE TRIAL WEEK and then Subscribe for $12 to $15 per month. TALL CUPS OF CONSCIOUSNESS: Live tele-video sessions addressing current planetary energy, specific topics, and issues. They are recorded and available after the session for download. ONLINE & LIVE CLASSES & RETREATS: A few times a year Aleya hosts classes which can be attended either online or in-person. Join her for the next DEEP Dive. LIVING LOVING RELATIONSHIP VIDEO SERIES: Aleya and her husband Doug Noll created a 3-hour video series with tools for creating, sustaining, and healing intimate relationships. Sound Sleep: Relaxing music, toning, light language to quiet the mind and sleep deeply. quisite medicine for the soul. An hour long journey of soothing music. Open Doors: A beautiful collection of Aleya's music. In Stillness: Float into other realms, connect with your Guides, find a power and clarity deep within. Aleya's Lullabies: Download a sweet and soothing collection of Aleya’s Lullabies Toning, light language, instrumentals all for the purpose of falling asleep and resting deeply. For children and adults. Sound Medicine: Exquisite medicine for the soul. Light Body Sound Healing: For the toning purist. Released in 2014 by Sounds True. 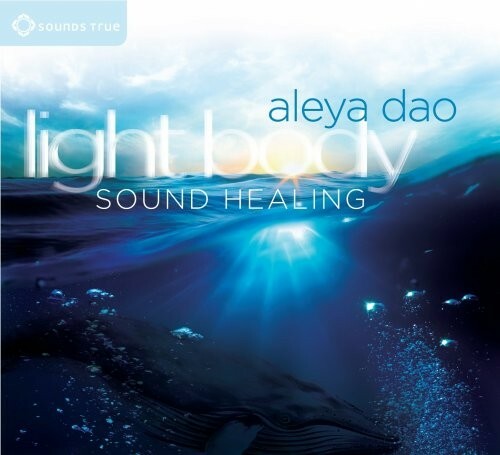 Aleya's angelic toning and tranquil music, this album creates a sound environment designed to transport you into another world—one beyond body and mind, in touch with the loving support of the spiritual dimensions. Oming with Whales: A 45-minute soulful journey of Aleya Om-ing with Whales. Awaken: With Grammy Award-winning composer/musician Barry Goldstein. Released in 2007. Listen to samples of each album or purchase HERE. Aleya's meditations, music, and sessions assist people in accessing higher states of consciousness in a powerful yet gentle way.